Outside dimensions: 28.5 Inches wide and 24.5 Inches tall. 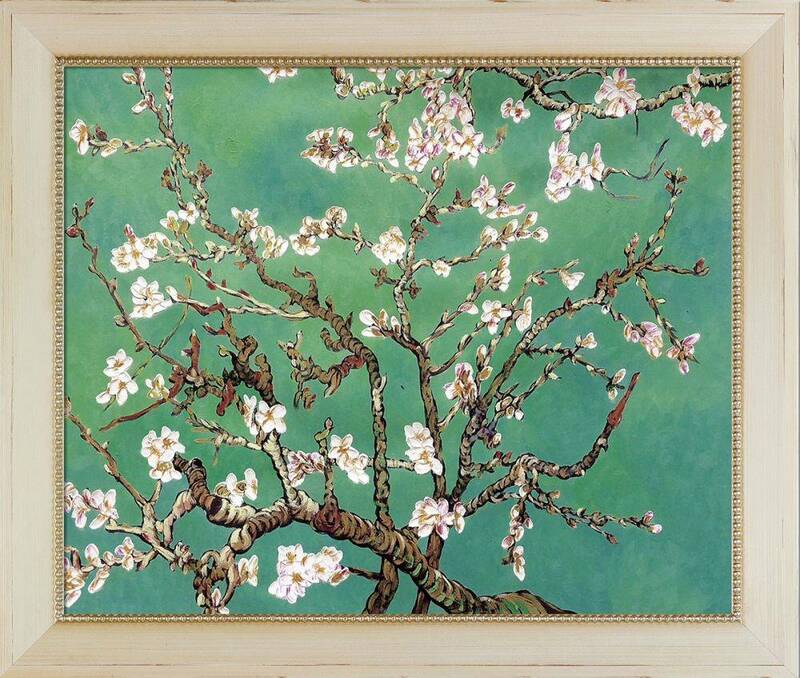 Branches of an Almond Tree in Blossom, Jade is a handcrafted re-imagining of Vincent Van Gogh's timeless original, Branches of an Almond Tree in Blossom. The original masterpiece was created in 1890. 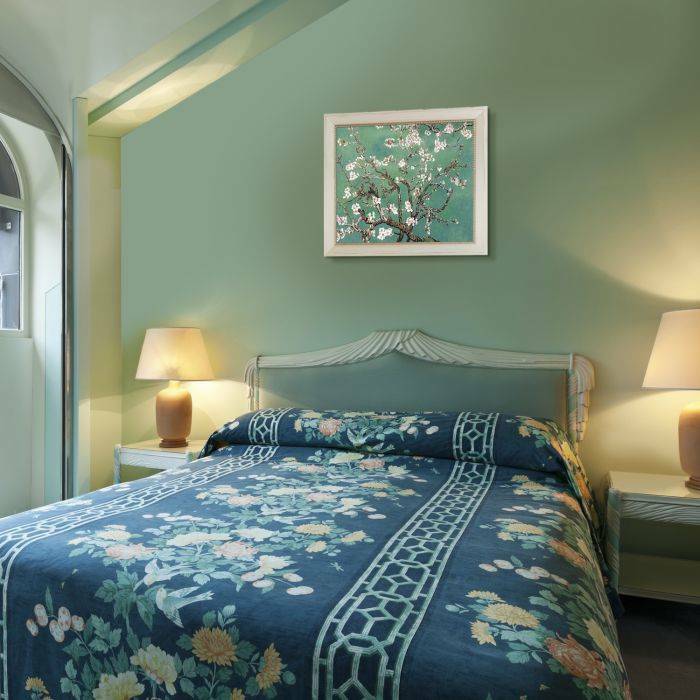 Today it has been carefully recreated detail by detail, color by color, to near perfection. Van Gogh created this painting as a gift for his newborn nephew. His brush strokes were fitting for the baby, as he combined a sense of fragility and energy: a joyous and hopeful image for the child's future. Known as a prolific Post-Impressionist, Van Gogh produced many paintings that were heavily biographical. Vincent Van Gogh's restless spirit and depressive mental state inspired his artistic work. This work of art awakens the same emotions and beauty as the original piece. Luxury brand La Pastiche seeks out today's most skilled artists and finest materials to produce stunning tributes to creative masters. 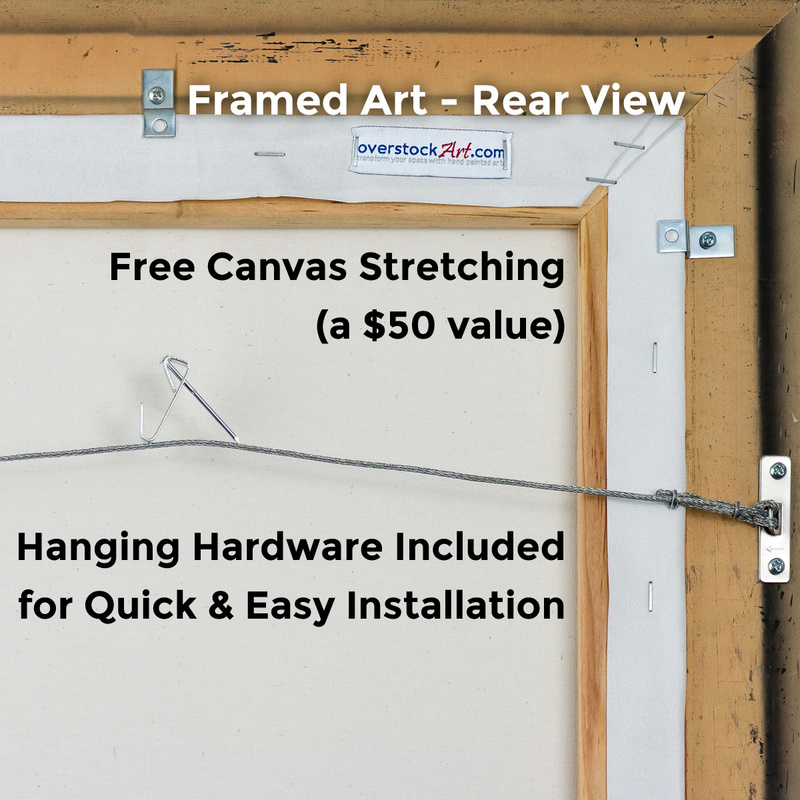 Each unique - and entirely exclusive - oil painting reinterprets and embellishes the original with fresh colors and/or metallic accents. 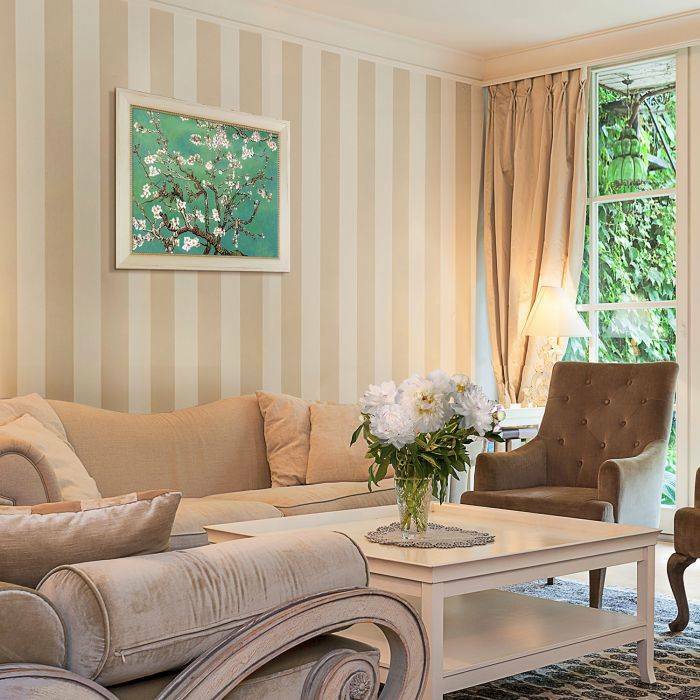 Granting unprecedented flexibility and brilliance, La Pastiche artwork is an exciting and sophisticated choice for the discerning decorator. Our focus has always been on creating inspiring new options of the utmost quality that remain true to the spirit of the original artist. 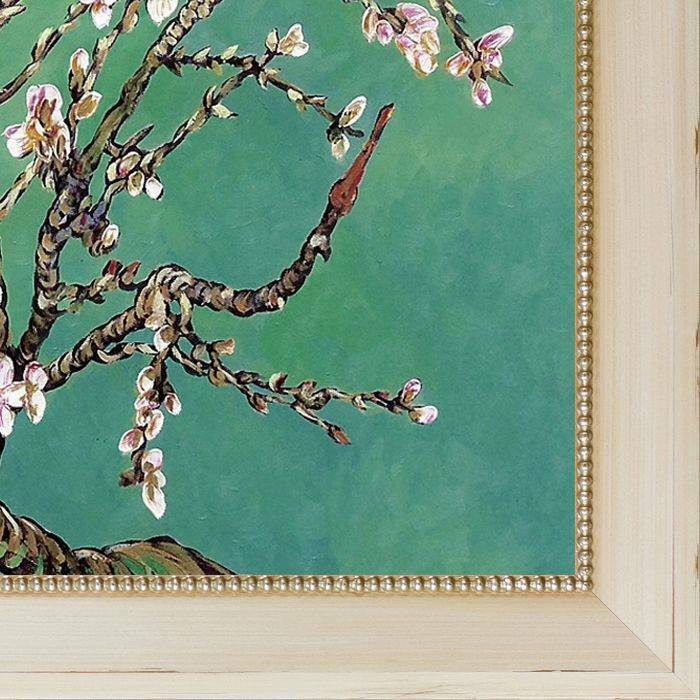 Color Palette for Branches of an Almond Tree in Blossom, Jade Pre-Framed is empty.